Fault lines crisscross the world, causing tens of thousands of earthquakes every year, but most are so small that they go unnoticed. It’s the powerful earthquakes that make headlines. And although rare, they can devastate communities and cause disruption to food, water and electricity supplies for weeks or even months. These earthquakes strike with little to no warning, so preparation is key to your family’s survival. The United States has some of the best earthquake building standards and the quickest emergency response times in the world. But you are still responsible for ensuring the safety of your home and family during a disaster. 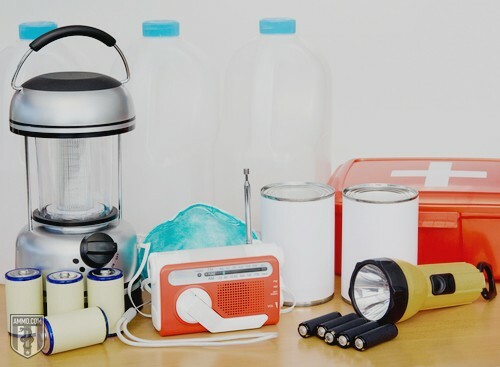 By preparing an emergency survival kit, practicing how to get to safety during an earthquake, and getting ready to handle the disruption of food, water and electricity in the aftermath of a major seismic event, you protect yourself, your family, your home and your community. The Richter scale measures earthquake intensity between the range of zero and 10, with each level being 10 times stronger than the one before. That means a magnitude 6.0 quake is 10 times stronger than a magnitude 5.0 quake, a magnitude 7.0 quake is 10 times stronger than a magnitude 6.0, and so on. While an average of 55 earthquakes between 5.0 and 5.9 on the Richter scale hit the United States each year between 2000 and 2012, only an average of 5.5 earthquakes between 6.0 and 6.9 on the Richter scale hit the United States each year during the same period. Earthquakes below 4.0 on the Richter scale rarely cause significant damage, and temblors below 2.0 cannot even be felt. But the “big ones,” anything above magnitude 7.0, can cause untold devastation when they do strike. The Great 1906 San Francisco earthquake, which caused more than 700 deaths in building collapses and the fires that followed, had an estimated magnitude of 7.8. About 10 to 20 magnitude 7.0 quakes occur every year worldwide, while even stronger quakes can occur from once a year to once every 50 years. The magnitude of an earthquake and the death and destruction it causes are not always connected. The largest recorded earthquake in the United States was a magnitude 9.2 temblor that struck Prince William Sound, Alaska, in 1968. Despite its intensity, nobody died due to Alaska’s sparse population. Are You in an Earthquake Danger Zone? Although California is infamous for the San Andreas Fault, many areas of the country are considered earthquake danger zones according to the latest National Seismic Hazard Maps released by the U.S. Geological Survey (USGS). Which areas of the country are in the most danger? The entire Western seaboard, from Seattle to Los Angeles, is linked by fault lines that pose a high risk of shaking for Americans both on the coast and further inland. The border between Idaho, Wyoming and Utah is another earthquake danger zone, with a high risk of severe shaking (the kind that corresponds to a quake of magnitude 6.0 or greater). The point where Tennessee, Kentucky, Illinois, Missouri and Arkansas meet is another high-risk category, with Memphis near its epicenter. And the coast of South Carolina is vulnerable to severe earthquakes. You may not live in an immediate earthquake danger zone, but that doesn’t mean you shouldn’t prepare. The energy from an earthquake can cause destruction hundreds of miles from its epicenter. According to the USGS, 42 out of 50 states stand a reasonable chance of experiencing damage from an earthquake in the next 50 years, and the 16 states above are at very high risk of experiencing damage from an earthquake. Even within these zones, some areas are more dangerous than others. Studies have shown that during the 1906 Great Quake, the greatest shaking was felt on reclaimed land and sediment basins far from the epicenter of the quake. Areas with depleted aquifers because of drought or fracking are also at risk because underground cavities more easily transfer seismic energy. Earthquakes can cause devastation hundreds of miles away from its epicenter, in areas where buildings were not constructed with earthquake safety in mind. During the 1989 Loma Prieta earthquake, ground liquefaction and damage occurred 70 miles from the epicenter, as far north as Oakland and Alameda. Keep your earthquake survival kit in an easily accessible place – even in the event of a severe earthquake partially collapsing your home. A survival kit does you no good if it’s trapped under several feet of rubble, which is why a garden shed or someplace outside your home is a good spot. Read our guide about keeping food safe during an emergency. Getting people out of collapsed buildings is the top priority for first responders. Earthquakes can disrupt roads and supply lines, making it hard for emergency personnel to get where they need to be in time to save lives. Be ready to survive and begin the rescue process yourself until the fire department and National Guard arrive. The safest place during an earthquake is outside and away from buildings, but you may not have time to escape your home, apartment or office building before the shaking reaches its peak. Identify the safe zones in your home and office before an earthquake so you know where to go. A good safe zone is away from glass, windows or anything that could fall, and is under something sturdy like a desk, table or workbench. Practice getting to the nearest safe zone with your children so they know how to protect themselves. You can even turn earthquake safety into a game. Have your kids memorize safe zones throughout the house, then shout “Earthquake!” and see who is the first to get to a safe zone. The main risk of injury or death during an earthquake comes from getting struck by falling or flying objects, or getting cut by broken glass and mirrors. 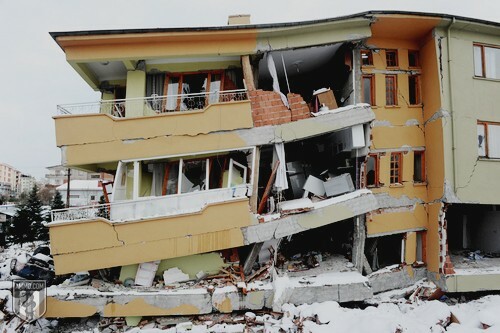 Earthquake-proofing your home goes beyond protecting your property; it can also reduce the chances of injury or death. A single-family wooden home is one of the safest places to be during an earthquake, but it’s important to remember that anchoring furniture, fixtures and appliances can further reduce your chances of getting hurt. Anchor shelves, mirrors and other appliances and furniture that could fall or slide, with an emphasis on heavy objects. Secure your home’s water heater with an anchoring kit. Make sure you have good latches on cabinets to prevent them from flying open. Anchor overhead lighting to keep it from swinging loose and falling. Install flexible pipe-fitting on gas and water lines so they bend instead of break. Keep all of your important documents and items in a fireproof safe. If you live in an area that is high risk, earthquake insurance could be very expensive or simply impossible to get. Depending on your state and the risk of an earthquake, your homeowner’s insurance (which is needed in order to get earthquake coverage) may cover quake damage. In California, for example, most earthquake insurance is offered by the California Earthquake Authority, a state agency. But even if you do have earthquake insurance, your policy may not cover damage from other sources – like flooding in the aftermath of a quake. If you live near a lake or embankment that could overflow after a temblor, consider getting flood insurance even if you’re already insured against an earthquake. And remember, the value of your land is not typically protected by insurance from side-effects of earthquakes, such as sinkholes. Fire is the main exception, however, as your homeowner’s insurance will cover damage from a fire after a quake. Pets: An Early Warning System? There’s plenty of anecdotal evidence that animals can predict earthquakes, which is why the U.S. Geological Survey concludes that animals can in fact feel the ultra-low frequency waves that come before a quake. It’s so common that it even has a name: Seismic Escape Response. Although it’s still a controversial topic, there is evidence to suggest that your pets may try to run away or display unusual anxiety before an earthquake happens. Pet owners should keep at least one week’s supply of food and water, as well as a first aid kit for their four-legged friends. Before an earthquake strikes, make sure your pets are microchipped and outfitted with current ID tags. Maintain recent color photos to speed the search for missing pets, and keep a pet alert sign to let rescue workers know they should look for animals if your home or apartment building collapses while you’re away. When an earthquake hits, your instincts will kick in and tell you to get out of the building as quickly as possible. That is why practice and preparation is key – because in the event of an earthquake, your instincts are wrong. Injury statistics show that people who move as little as 10 feet are the most likely to be injured during a temblor, whether by falling or getting hit by falling objects or broken glass. For those who live in a single-story wooden home, you’ve already got a reliable earthquake shelter. If you’re in bed, stay there and cover your head with a pillow to protect yourself from debris. If you’re underneath a fixture, like a light or a fan that could fall, roll out of bed and take cover underneath it. Slow down and pull over to the side of the road as quickly as possible if driving during an earthquake. 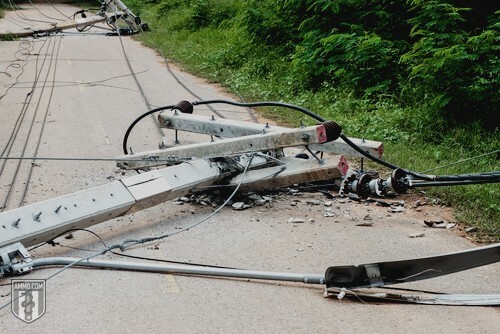 Avoid stopping near anything that could collapse, like telephone poles, utility wires or buildings. Panicking and losing control of the vehicle is the leading cause of roadway injuries during an earthquake, but you’re also at risk while driving on bridges, particularly older ones, and elevated freeways. During the Loma Prieta earthquake in 1989, 81 percent of roadway deaths occurred because of freeways collapsing. Earthquakes don’t kill people, buildings do. The most dangerous structures during an earthquake are unreinforced masonry buildings, the kind made of brick-and-mortar walls that are not bolted to the roofing or flooring. In most areas, these buildings are not very common, but some areas have more than enough to cause death and destruction in the event of a high-magnitude earthquake. According to FEMA, unreinforced masonry buildings stand the highest risk of collapsing during an earthquake, and there are many thousands of these across the United States. The Greater Seattle Area, for example, has nearly 1,200 of these old brick-and-mortar buildings. Current building codes only allow these dangerous structures in areas where the probability of an earthquake is extremely low, but in regions like the West, the Southeast and the Northeast, there are still many of these old buildings that have not received earthquake reinforcement upgrades. Multi-story concrete buildings that were not designed to withstand the force of shaking are some of the worst structures to be in during an earthquake. Some of the deadliest earthquakes in modern times occurred in densely populated urban areas with poorly constructed multi-story concrete housing. The 1976 Tangshan earthquake and its aftershocks in China killed at least 250,000 people and destroyed 85% of the buildings in Tangshan, which were never built with earthquakes in mind. Getting out of a building after the shaking has stopped is the most dangerous part of surviving an earthquake, as aftershocks could occur while you’re trying to get outside. It’s important to move from safe zone to safe zone as your exit the building. Be sure to check yourself and others for injuries and tend to them, but don’t try to move anyone who is seriously injured. If you must move them, first stabilize their neck and back, get them to safety and call for help. Many earthquake injuries occur within 10 feet of the entrances of buildings, according to the Occupational Safety and Health Administration. As you leave, turn off gas lines, water valves and electricity breakers. If you’re in a multi-story building, don’t use the elevators. And don’t use your phone except for genuine emergency calls. Expect aftershocks, and be prepared to drop, cover and hold on if they strike while you’re trying to get out of a building. Aftershocks can strike hundreds of miles away from the epicenter of the quake and they can sometimes be more severe than the original quake, depending on your location. Even if they are not as strong as the first quake, they can cause even more damage. Earthquakes create large amounts of dust, which is flammable when suspended in the air. If you use a match or a lighter, you risk starting a flash fire (with you trapped in the middle). There is also the risk of igniting a gas leak. Stay calm and stay still – trying to dig yourself out risks causing another debris collapse that could cause more injuries and trap you further. People have survived for days, and in some cases weeks, trapped under rubble and debris before rescue workers reached them. If you live near water, get away from the beach and move toward high ground. Tsunamis can devastate coastal areas, and seiches or standing waves can cause lakes and pools to overflow. As soon as you’re safe from the shaking, get to high ground and away from water. Fires killed more people and destroyed more buildings after the Great 1906 San Francisco Earthquake than the quake itself. Earthquakes rupture gas lines and break electrical wires, creating a deadly combination of fuel and sparks. To make matters worse, water lines are often ruptured, leaving survivors with no way to fight the blaze. Keep at least one fire extinguisher and a fire blanket in your earthquake survival kit. The 2011 Fukushima earthquake in Japan and the resulting tsunami destroyed the nearby nuclear reactor, releasing deadly radioactive waste into the water and radioactive particles into the air. If you live anywhere near a nuclear reactor, dealing with radioactive fallout and contamination of water supplies should be part of your earthquake survival plan. Store plenty of bottled water and extra food supplies, and be prepared to take shelter for several weeks until fallout subsides and you can safely leave the affected area. 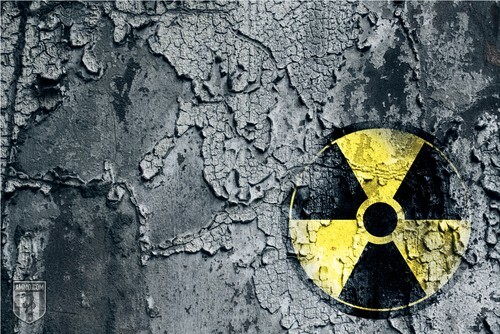 Remember that radioactive fallout can travel hundreds and even thousands of miles, which means you may be in danger even if you are not directly affected by an earthquake or a resulting tsunami. Earthquakes can destroy roads, which can slow the arrival of emergency personnel and supplies to affected areas. In many cases, surviving the earthquake itself is the easy part. The hard part is recovering from injuries and shock, and waiting for relief. First, the challenge is dealing with injuries and finding shelter until help arrives. The signs of earthquake damage are often slow to appear. If you have any doubts about the structural safety of your home, don’t stay there. Monitor emergency frequencies and updates with your radio to find nearby emergency shelters and supply centers, where you can stay until you can have your home assessed by a professional. Keep gas lines, water pipes and circuit breakers turned off until you can have them assessed. Even if your home is still structurally sound, you may want to sleep outside for the first few nights in case of aftershocks. The US Geological Survey’s Earthquake Notification Service will send you automated emails or text messages when earthquakes occur in your area. There’s no way to predict an earthquake in advance, but smaller quakes can often precede larger seismic events. Staying informed about quakes in your area will keep you alert about the danger of earthquakes. In the rare event that a high-magnitude earthquake hits your area, the main thing to remember is that you are the first responder. While disaster relief agencies will be there to help if and when an earthquake strikes your community, it’s up to you to be ready as well. 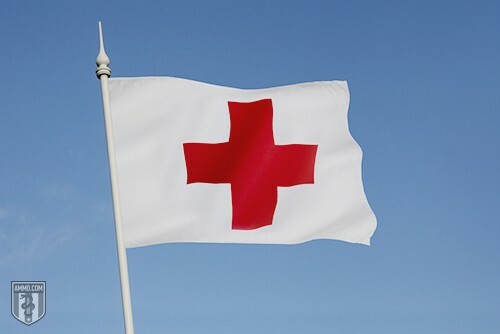 Emergency personnel may be overwhelmed and unable to reach you and your family immediately – which is why you should be prepared to survive the aftermath for at least three days. By preparing yourself and your family to survive an earthquake and its aftermath, you’ll be able to provide relief to your neighbors and your community until help arrives.